The story of one amazing yorkshire terrier. Every day waves of Japanese planes attacked the Allied airfield at Lingayen Gulf on Luzon, the largest of the Philippine Islands. The onslaught was taking a toll on communication, and the American commanders urgently needed to run telephone lines through a pipe that stretched roughly 70 feet underground from the base to three separate squadrons, but they lacked the proper equipment. So instead, they pinned their hopes on an unconventional solution: send a tiny Yorkshire terrier through the pipe with kite string tied to her collar. The string could then be used to thread the wires through the pipe. 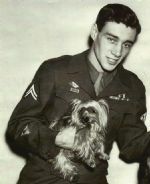 Calling to her, coaxing her forward was her owner, Corporal Bill Wynne, a 22-year-old Ohio native, who'd adopted her while he was in New Guinea. The little dog reached the other side, the communication network was established, and she was credited with saving the lives of some 250 men and 40 planes that day. 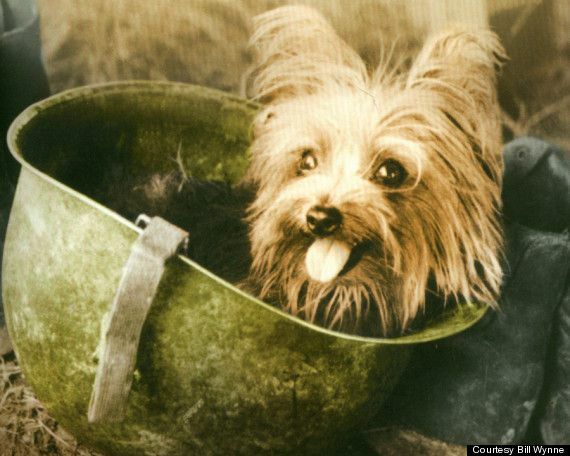 But in the years to come, the little Yorkie would achieve much greater acclaim for her healing effect on wounded soldiers. 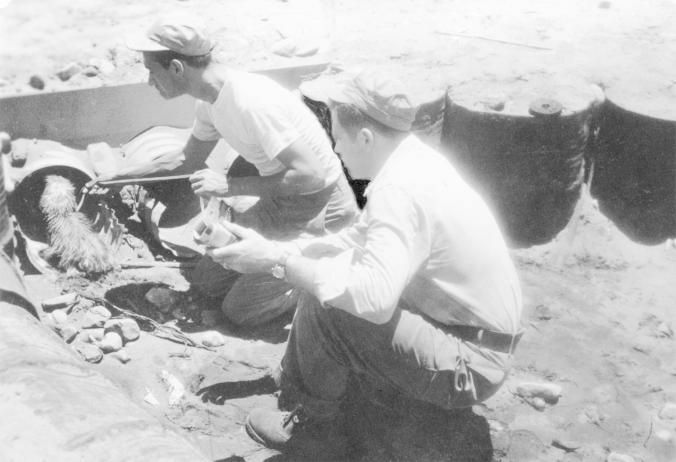 Bill Wynne (left) and linesman Bob Gapp send Smoky into a pipe to help string telephone wire beneath an airstrip heavily targeted by the Japanese. She is credited with saving 250 men and 40 U.S. planes from possible destruction over a three-day period. One of his tent mates had found her in an abandoned foxhole on the side of the road and was willing to sell her. She was underfed and scrawny. And because another soldier had thought the small dog was too hot under all her fur, he'd crudely sheared her, leaving her once-long, silky hair sticking out in uneven tufts. 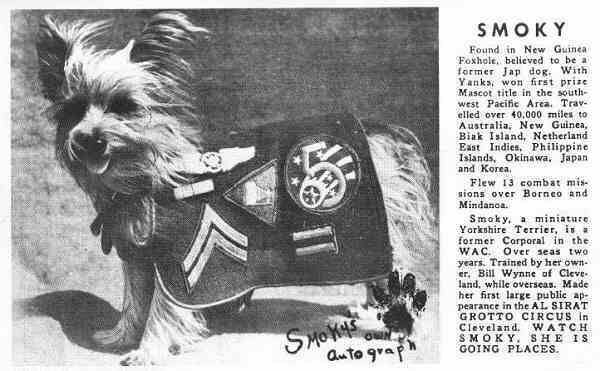 But Wynne, who had been around dogs all his life, quickly decided to keep this scraggly little animal, and so he shelled out the soldier's asking price, two Australian pounds ($6.44 U.S.)—a fair chunk of his overseas pay—and called her Smoky. And during the next year and a half, Wynne and the little dog would survive air raids, typhoons, and 12 combat missions together. 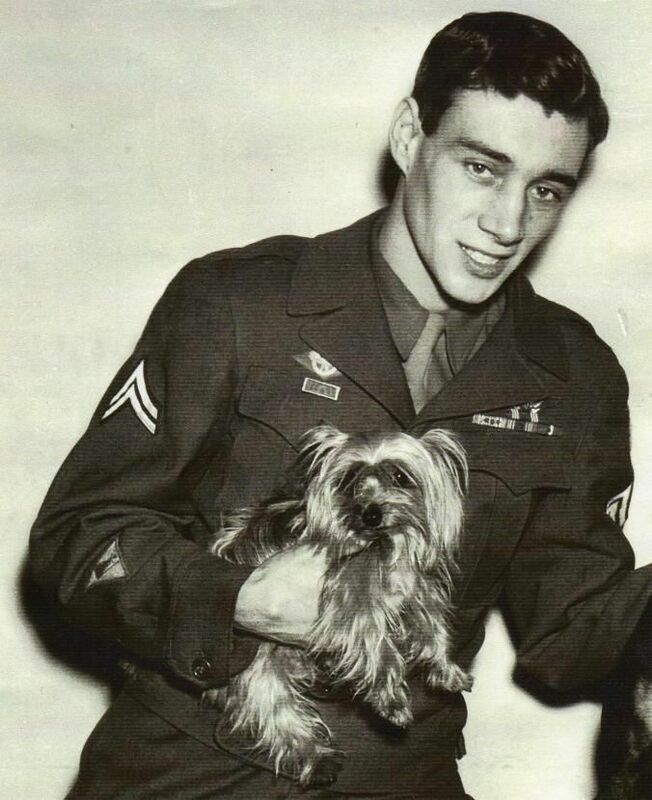 Wynne had noticed what a powerful effect the dog had on the soldiers around him, how Smoky lightened the mood, not only with her presence but also with her personality. They laughed as she chased the wildly colourful Queen Alexandra's birdwing butterflies that, with a wingspan of 14 inches, were far larger than she was. And of course, they loved the tricks Wynne had taught her mostly to relieve the tedium. After the war was over, Wynne and Smoky continued to tour hospitals, bringing their act to recuperating soldiers back home. Smoky retired in 1955, and she died in her sleep two years later in 1957 at the age of 14. As Bill Wynne remembers it, for the wounded soldiers Smoky was a complete diversion—something to pull them away from what ailed them, something they could await with happy anticipation. In his mind her ability to make a difference was really quite simple: "She was just an instrument of love."